Baking: Third Attempt baking a pound cake in a breadmaker. 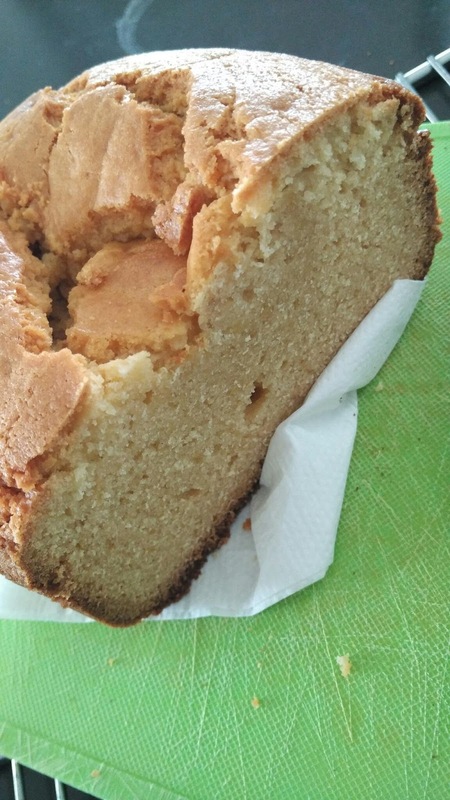 This recipe for a pound cake... Cakes are so temperamental. You change one element, it changes the whole cake. 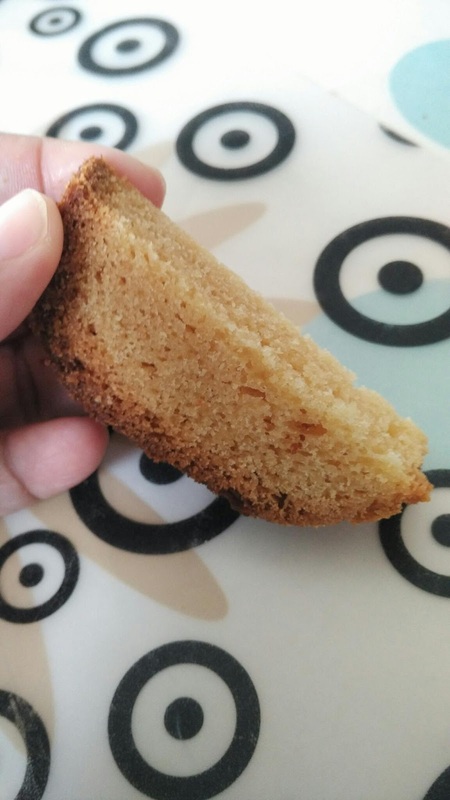 Took me two hours to bake it using the breadmaker. ... Why? Coz in third attempt, I used two whole eggs, and one egg yolk, and one egg white meringue. Granted, the one egg meringue wasn't enough to sustain the batter.. (means not airy enough). The ratio formula for a pound cake is 1:1:1:1. Butter:sugar:milk:flour. I think there is a problem with the flour ratio. Unless I separate the egg yolk and egg white in this recipe (for both liquids and aeration aspect), there seems to be too much flour. Result: the cake that tastes like a rich pound cake biscotti (soft inside and hard crust. Still edible) One whole egg, with two egg yolks and two egg white meringue might have been better aeration ratio to the whole cake batter. I didnt use baking powder for the second attempt or the third attempt either coz I wanted to experiment with egg white meringue as an aeration agent.